Most disgusting and crazy verdict ever regarding journalists covering news anywhere EVER in this day and age. 7 bloody years jail for covering the political crisis in Egypt. Take note…Not supporting anyone, just covering like a good professional journo should. I have followed this since his arrest and have been very reluctant to get into international crimes as a whole. But this is an award-winning professional newsman from Australia. Greste’s father Juris , his mother Lois and brother Andrew must be devastated. I have watched every single presser they have done live, showing solidarity, admiration, support, pride, and respect for Egypt yet asking for fairness. This is all in the absence of proper evidential procedures, lack of legal representation, false video evidence unrelated to the charges the list goes on. 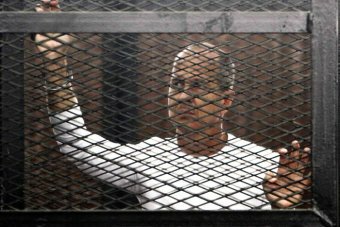 Australian journalist Peter Greste and his Al Jazeera colleagues have been found guilty by an Egypt court of spreading false news and supporting the blacklisted Muslim Brotherhood. Greste and Mohamed Fahmy were sentenced to seven years in jail by a judge and Baher Mohamed was sentenced to 10 years. Three other journalists who were tried in absentia were handed 10-year sentences. Middle East correspondent Hayden Cooper was in court for the verdict and said there was a look of despair on his brother Andrew Greste’s face. Greste, along with his colleagues Fahmy and Mohamed, had been in detention since their arrest in late December. Prosecutors were demanding the maximum penalty of between 15 and 20 years in jail for Greste and his co-accused. Greste and his colleagues are among a group of 20 journalists charged by the Egyptian government in a case that has triggered international outrage about press freedom in Egypt. Of that group, 16 are Egyptians accused with joining the Brotherhood, which was designated a terrorist organisation in the wake of the army ousting elected president Mohamed Morsi last July. Prime Minister Tony Abbott appealed to Egypt’s new president, Abdel Fattah al-Sisi, to release Greste earlier today, saying the journalist was reporting on the Muslim Brotherhood not assisting them. An Egyptian court has sentenced Australian journalist Peter Greste to seven years in jail for collaborating with the banned Muslim brotherhood. His two Al Jazeera colleagues, Mohamed Fahmy and Baher Mohamed, were sentenced to seven and 10 years respectively. Greste and his colleagues were arrested in December last year on suspicion of illegally broadcasting news and harming “domestic security”. The arrest, trial and judgment is the most recent chapter in the foreign correspondent’s career spanning more than 25 years. 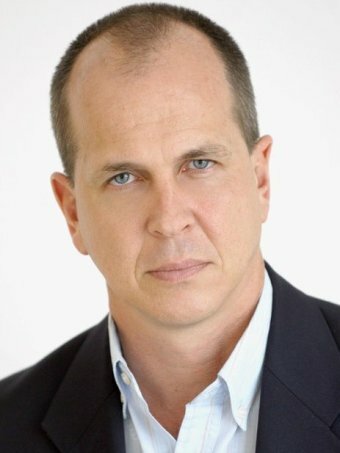 Born in 1965, Greste spent his early years in Sydney before moving to Queensland at the age of 12 with parents Juris and Lois, and younger brothers Andrew and Mike. His parents say a Rotary exchange trip to South Africa after high school triggered Greste’s interest in cultures, languages and travel. He returned to Brisbane to study and graduated with a Bachelor of Journalism from the Queensland University of Technology in 1986. In an interview with ABC’s Correspondents Report in 2005, Greste spoke of his admiration for Australian cameraman Neil Davis, who died in a coup in Thailand in 1985. “Davis’s biography [was] the book that inspired me to leave home and become a foreign correspondent in the first place,” Greste said. Greste launched his journalism career in regional Victoria before gaining further experience in Adelaide and Darwin. He left Australia in 1991 to pursue his dream of becoming a foreign correspondent, working as a freelancer for Reuters TV, CNN, WTN and the BBC. On assignment for the BBC in 1995, Greste worked as the Kabul correspondent covering the emergence of the Taliban. After the September 11 attacks in 2001, he returned to Afghanistan to cover the war before continuing his work across the Middle East, Central Asia and Latin America. In 2004, Greste relocated to Mombasa in Kenya, where he worked as a freelance journalist and photographer. 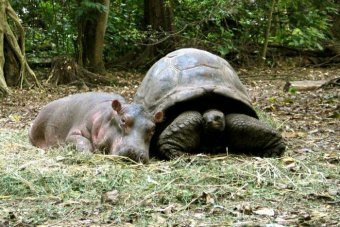 During his time in Kenya, Greste reported on the unlikely friendship between an orphaned baby hippo and a 130-year-old giant tortoise, which led to a children’s book. In a 2011 interview with Ryan Kohls, Greste described his passion for photography. “I write because I need to write for work. I enjoy it, obviously, or I wouldn’t do it,” he said. On assignment for BBC in 2005, Greste witnessed the death of his producer Kate Peyton, who was shot in the back while they were both standing outside a hotel in the Somali capital, Mogadishu. I was with her when she was shot. We were working together on the story, just the two of us, and we both knew what we were getting into. It was a risk we both judged to be worth taking, if only because so few reporters have been into Somalia in the past decade, and nobody can hope to make a considered judgment of either Africa or Islamic extremism without understanding why that country has remained so anarchic. So when I’m asked, “Who cares what happens in a dusty poverty-stricken, anarchic backwater on a corner of Africa?” the answer is as simple as it is obvious: Kate Peyton cared. He returned to Somalia in 2011 to film a BBC documentary about life in the war-ravaged nation, which won a prestigious Peabody Award. For the past nine years he has worked as a correspondent for Al Jazeera in Africa, covering the Horn of Africa, Kenya, Tanzania and the Great Lake states. Greste left his home in Nairobi in December for a three-week stint in the Egyptian capital. “This assignment to Cairo had been relatively routine – an opportunity to get to know Egyptian politics a little better,” he wrote from his prison cell in a piece published on his Al Jazeera blog. Admitting he has produced work in the past that “involved lots of detailed investigation, considerable risk, and not a small amount of sweat”, Greste says this assignment was not one of those occasions. Greste describes the Egyptian story as a “routine body of reporting on the political drama unfolding around us”, but he and two colleagues, Mohamed Fahmy and Baher Mohamed, found themselves at the centre of the international news landscape after their arrests on December 29. “Journalists are never supposed to become the story,” he said. “I had been in Cairo only two weeks before interior ministry agents burst through the door of my hotel room. Greste says he initially sought to fight his imprisonment “quietly from within”, but decided that was a “dangerous decision”. “It validates an attack, not just on me and my two colleagues, but on freedom of speech across Egypt,” he wrote. Greste’s search for “accuracy, fairness and balance” in his Egyptian reporting led him to the banned Muslim Brotherhood. “How do you accurately and fairly report on Egypt’s ongoing political struggle without talking to everyone involved?” he wrote. The plight of the journalist and his colleagues has been met with support from international press. In an open letter published by The Guardian, Greste has been described by BBC director of news and current affairs James Harding as a journalist of integrity. The letter, co-signed by executives from international news organisations, calls for the journalist’s release. “We know Peter Greste to be a fine, upstanding correspondent who has proved his impartiality over many years,” the letter said. The parents of Australian journalist Peter Greste, Juris and Lois. The seven-year sentence given to Peter Greste in Egypt marks yet another chapter in the “torturous” ordeal facing the Australian journalist’s family. The despair on the face of Andrew Greste told the story, as the judge convicted his brother of collaborating with the banned Muslim Brotherhood. 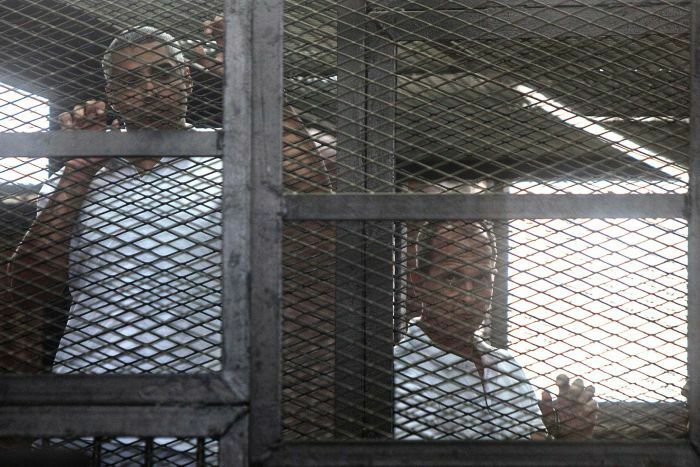 Peter Greste’s two Al Jazeera colleagues, Mohamed Fahmy and Baher Mohamed, were also convicted and sentenced to seven and 10 years in jail respectively. The Greste family will now be forced to come to grips with the situation confronting them after months of uncertainty surrounding the foreign correspondent’s fate. Greste’s mother Lois once described him as a “strong character”, but the resilience of the entire family has been on display since his arrest in late December. 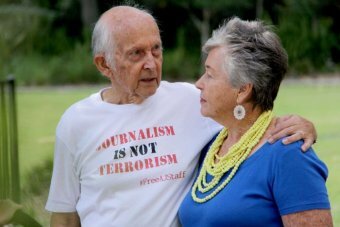 Since Greste’s jailing in Egypt, his Queensland-based parents, Juris and Lois, have spoken often about their son’s plight and drawn on the strength of their supporters. Greste and his Al Jazeera English colleagues were accused of spreading false news and aiding the Muslim Brotherhood. All three denied the charges. Despite the difficult circumstances facing them, Juris and Lois have volunteered their voices to their son’s campaign. “You find strength and skills that you never knew you had, and dare I say we’re drawing on each other and capabilities that we’ve never had to call upon,” Juris Greste previously told 7.30. Lois Greste has also credited the Australian public with helping to get the family through the ordeal. “It has been tremendous, otherwise truly we wouldn’t have been able to keep ourselves together and maintain the very intense campaign that this has turned into,” she said. Greste’s brothers, Mike and Andrew, have both spent stints in Cairo offering support to their brother during the trial process. Earlier this month, Mike Greste told AM the family was trying to keep its feelings in check. “You just don’t have any expectations, it’s safer that way,” he said. But the long, drawn-out process has taken its toll on the family. In April, a day after Greste was denied bail for the second time, Juris Greste spoke about the pain his son’s ongoing detention was causing the family. Photo: Andrew Greste during a visit to Cairo’s Tora prison. “I don’t want to start debates about torture, what is torture, but really, this process is a form of psychological torture to the extended family,” he said. I am really amazed at how dignified they (the family) have been. In March, Andrew Greste expressed his frustration at how long the process was taking, saying it was “tough” to leave his brother and return to Australia. “There was a certain amount of regret and sadness that I left Cairo on my own because obviously I was hoping to be able to walk out of there together,” he said. But the family’s poise in the face of adversity has been a constant throughout the ordeal. 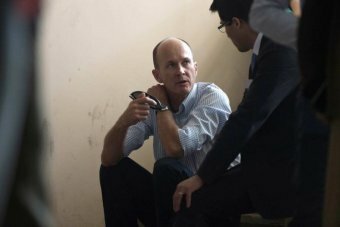 Queensland lawyer John Sneddon, who represented Australian businessman Marcus Lee after he was charged with fraud in Dubai, praised the way Greste’s family handled the situation. “I think everything the family is doing is correct,” he told ABC 612 Brisbane. “I take my hat off to them. I think they are handling the matter very well. Since the military coup of July 2013, Al Jazeera says its staff have been subjected to systematic attacks, intimidation, arrests and confiscation of property. Cameraman Mohammad Farhat is hospitalised for two weeks after being beaten by pro-regime “Baltagiya” gangs. Egyptian authorities raid offices of Al Jazeera’s “Mubasher Misr” Arabic language channel and 28 employees are arrested. All staff are released after six hours, with the exception of executive Ayman Gaballah, who is held for four days and released on bail. Police also raid separate offices of Al Jazeera Arabic and a crew is detained in the bureau for six hours, while broadcast engineer Ahmad Hassan is imprisoned for four days. Egypt Bureau chief Abdel Fattah Fayed is detained, and according to Al Jazeera, charged with “running an unlicensed satellite channel and transmitting news that could compromise Egypt’s national security”. Fayad is released on bail. Five Al Jazeera crew members are detained in Suez while reporting protests. They are detained by the military for “a few hours” before being released. Cameraman Mohammad Badr is arrested. Cameraman Mohammad El-Zaki is shot and wounded by snipers while covering protests at Cairo’s Rabaa Al-Adaweya Square. Correspondent Abdullah Al-Shamy is arrested and detained. Crew members Emadeldin Elsayed and Almuwahed Bellah are detained, beaten and have their equipment seized after covering a security forces crackdown on a pro-Morsi camp. They are later released. 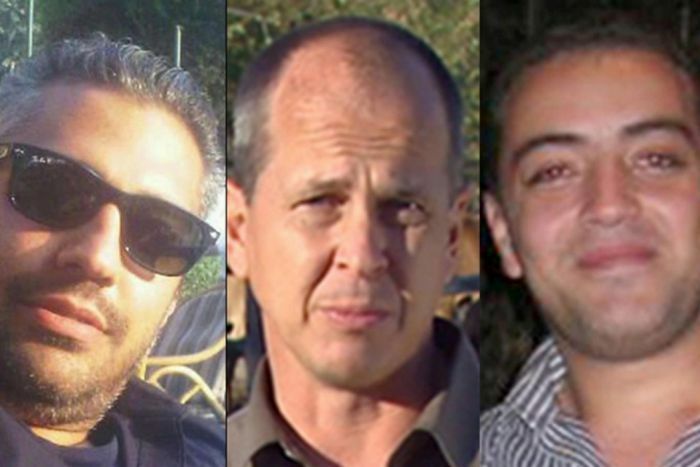 Correspondent for the Al Jazeera English channel, Wayne Hay, cameraman Adil Bradlow, producers Russ Finn and Baher Mohamed are detained in Cairo. Baher is released after two days. The others are deported to Britain after five days in custody. Al Jazeera English cameraman Mahdi Fattaouh and his driver are detained for a few hours and have their equipment confiscated while covering demonstrations. Executive producer Shihab El-Ddin Shaarawi is detained for two days. Account manager Mostafa Hawwa is detained in Cairo for a day. Al Jazeera English correspondent Peter Greste, producers Mohamed Fahmy and Baher Mohamed, and cameraman Mohamed Fawzy are arrested. The arrests occur during a National Security Service raid on their makeshift bureau in a Cairo hotel and their equipment is confiscated. Foreign Affairs Minister Julie Bishop says the Australian Government is doing all it can to help Greste. “Officials in Cairo have been contacted and they are providing direct consular assistance to him,” she said. Cameraman Mohamed Fawzy is released but Greste, Fahmy and Mohamed remain in detention. 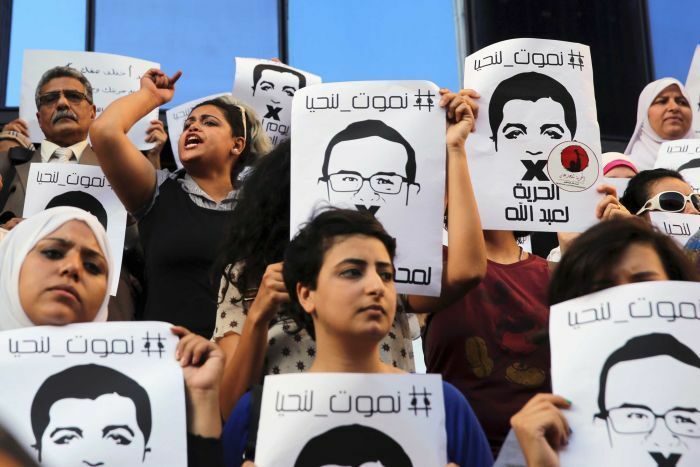 The detainees are accused of having links to a “terrorist organisation”, portraying Egypt in state of civil war, “airing false news” and working without a permit. Al Jazeera Arabic correspondent Abdullah Al-Shamy, who has been in detention since August, begins a hunger strike. Cameraman Mohammad Badr is acquitted of all charges and released. Abdullah Al-Shamy is joined on a hunger strike by his wife. Al Jazeera files Notice of Dispute against Egypt for breaching a 1999 investment treaty with Qatar, seeking $US150 million in compensation for the mistreatment of Al Jazeera journalists. 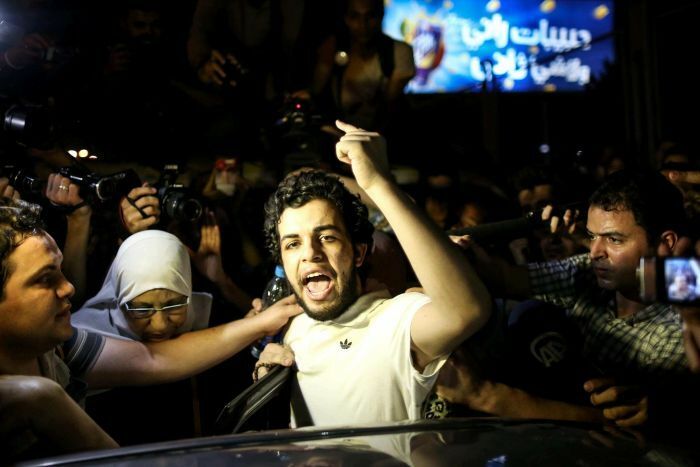 In a surprise development, Egypt’s public prosecutor orders the release of Abdullah Al-Shamy, who has been on hunger strike for more than 130 days in protest over his detention. “I have won. Everyone who is a freedom fighter or a journalist doing his work credibly and honestly has won,” Al Jazeera quotes him as saying. “I missed my freedom, I missed my life. My life stopped on August 14 at 6pm when I was moved to a place I did not wish to be. 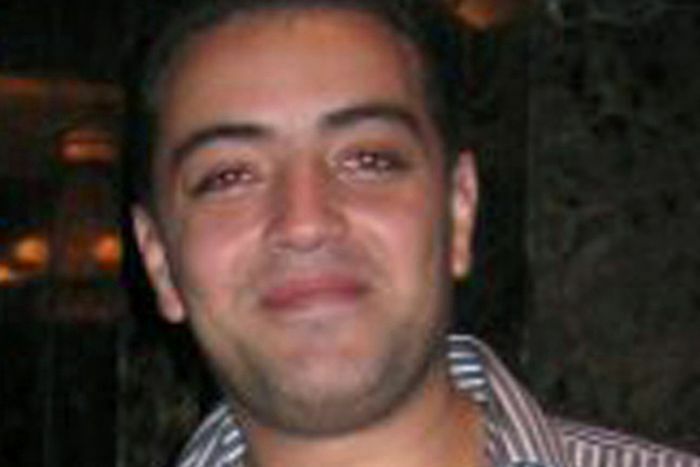 Al-Shamy’s release comes 307 days after his arrest. GERARD Baden-Clay will reveal today if he will call or give evidence in his defence, after the Crown wrapped up its case with the final interview he had with police. CLIVE Palmer, with Al Gore by his side, confirmed the Palmer United Party members would vote to axe the carbon tax but want an emissions trading scheme (well, sort of). THE night Allison Baden-Clay went missing, she and her husband had planned to discuss his infidelity. She compiled a list of questions to ask him. SHOCKING secret footage leaked from the Egypt prison holding Peter Greste has emerged, as an Al Jazeera colleague begs Australians to support him. A COLD change has hit most of the east coast, but you wouldn’t know it in one part of Queensland. A detective sergeant from WA's South West who refused a breathalyser test has been fined $300. A Queensland man who has avoided being put on trial for allegedly murdering his wife and her friend more than two decades ago says he might take further legal action to clear his name. Hi folks, just wanted to say a very big thank you to some fantastic supporters of the site who have sent some money my way. I am so thankful and appreciative to you guys as I know times are tough for everyone. I am working behind the scenes to go pro on wordpress and our own Aussiecriminals domain. heaps of new features for the readers as well. I wanted to “out” all the individuals who have donated but I don’t want to put anyone on the spot.They know who they are, every dollar counts. THE FATHER, THE SON AND THE HOLY….INTEREST? In Perspective, A Visual Look Through The Lens!